So many gorgeous pumpkins in the market right now and what to do with them other than decorate? 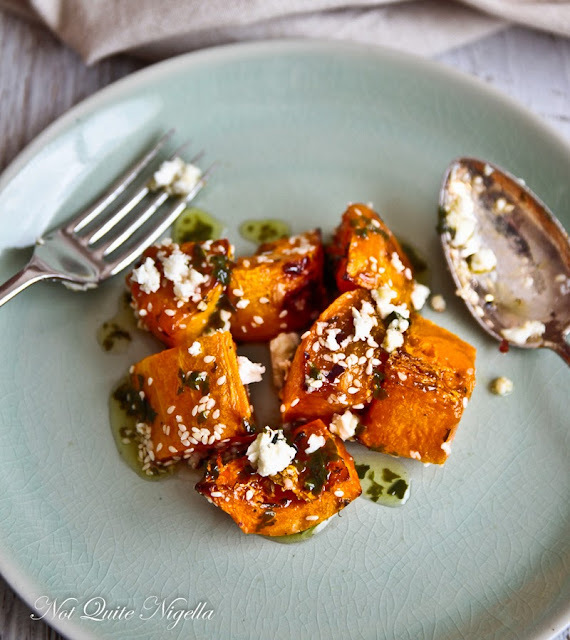 I saw this recipe for Roast Pumpkin With Feta and Honey from Lorraine Elliott of Not Quite Nigella blog and couldn't wait to try it. 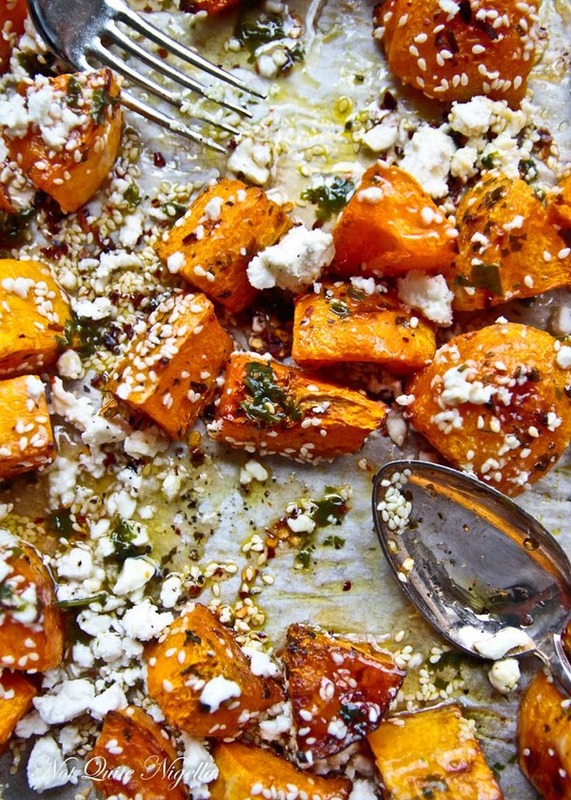 I love the sweet and tangy combination of the honey and feta. I made this last night and added sautéed swiss chard and it was fantastic! I served it with a maple mustard pork loin chop and actually skipped the side dishes to have a second serving! I also subbed the sesame seeds for dried cranberries which added an additional chewy sweetness. Yum! Thank you for inspiring me today Lorraine! Click here to see recipe. Buon Appetito!